This Event has been read: 1520 times. 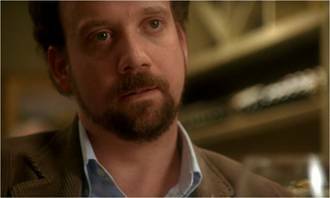 Miles Raymond: No, if anyone orders Merlot, I'm leaving. I am NOT drinking any fu*&^% Merlot! Merlot is the second most planted varietal on the planet earth, although its popularity has helped give this outstanding varietal an identity crisis. The name Merlot is thought to be a diminutive of merle, the French name for the blackbird, probably a reference to the color of the grape. Its softness and "fleshiness", combined with its earlier ripening, makes Merlot a popular grape for blending with the sterner, later-ripening Cabernet Sauvignon, which tends to be higher in tannin. When done right Merlot is one of the greatest wines on the planet. When it is done wrong it is one of the least enjoyable of all wines. After the boom of the late 1990’s which was sparked by the nations’ most popular news programs 60 minutes expose called “the French Paradox” where they discovered that the consumption of wine was linked to superior heath in people from France. The U.S. started drinking more wine and Merlot was the bell of the ball so wineries planted this finicky varietal all over the state of California and beyond to quench the demand for this healthy elixir. There is no question among wine lovers that the greatest expression of this varietal is from Bordeaux and Pomerol the small one horse town is above all else when it comes to Merlot. 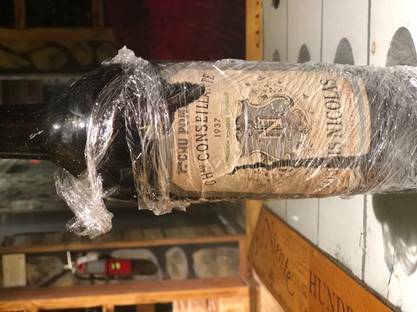 There is also no question when it comes to supply and demand that Chateau Petrus is the most sought after of all the wines from Pomerol so when I acquired a bottle of 1961 Chateau Petrus there was no question that this would be placed into one of our "Once in a Lifetime" wine tastings ASAP. It just so happened that my 50th was approaching and there would be no better occasion than this to experience this incredible wine than right now so here it is! Tonight we will taste through an incredible line-up of Pomerol with a few surprises for those that attend this incredible “Once in a Lifetime” event that is the second in a three night celebration of drinking the world’s greatest wines- why because it’s my birthday!! The fee for this tasting is $2550 + tax for reservations call 954-523-9463 or e-mail andy@winewatch.com. It is without question the most recherché claret on the face of the Earth. Most wine aficionados have never even tried this ultra-exclusive wine. Many say that it is overpriced, but those in the know realize that price is only relative. 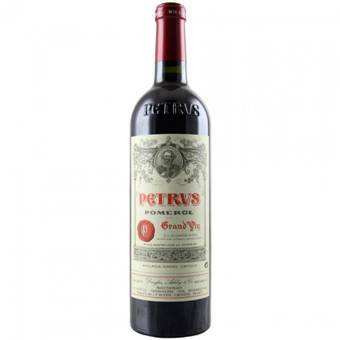 Is Petrus a truly great wine or is it a greatly over-priced wine. The production is so limited (less than 4,000 cases) that allocations are usually taken without even a mention of the asking price. Things were not always so good for this tiny property. The Petrus phenomenon is fairly recent. 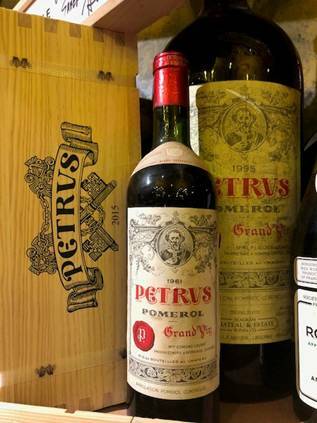 A little over sixty years ago hardly anyone had even heard of Petrus, and fewer were interested in buying the wine. Pomerol itself had not really caught the eye of the Bordeaux drinkers, it was not until 1900 that the Syndicate of Pomerol was founded; the commune was considered to be a lesser appellation of Saint Emilion. Saint Emilion itself, until the latter portion of the nineteenth century was regarded as greatly inferior to wines coming from the Medoc and Graves. This is the reason, not because of some self-imposed restriction, that the 1855 Classification consists (with the exception of Chateau Haut Brion) only wines coming from the Medoc. Unlike the other areas in Bordeaux, Pomerol has never had a classification of its own. In the first mention of Petrus in the notebooks of the Bordeaux firm Tastet and Lawton it was owned by the Arnaud family. This was in the 1830’s and at that time the only grand vins of Pomerol were, Vieux Certan, Petite Village and Trotanoy. Petrus was added to this list a few short years later. 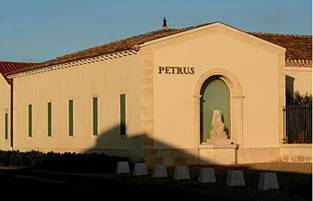 It remained in the Arnaud family until after the First World War and by this time they had firmly established Petrus as one of the top houses in Pomerol, in a good year it would fetch prices on par with a second growth Medoc wine. Now a limited company, it was gradually acquired from 1925 onwards by Mme Edmond Loubat who became sole owner by about 1945. It was the Loubat family that brought Petrus to top-growth status; Mme Loubat was a woman of great personality, who never made the mistake of compromising the integrity of her product. She took every opportunity to show the rest of the Bordeaux that her wines were as good as anything-made in Pomerol, Saint Emilion, and the rest of the Medoc. When the time came to pass the torch on at Petrus Mme Loubat was left in somewhat of a predicament. She had no children and only two heirs, the only children of each of her two sisters. These two were not tight, so Mme Loubat decided to give one share of Pertus to Jean Pierre Moueix which would enable him to have a say in the management of the property and to make an exact division of the remainder between the heirs. Her confident and ally Jean-Pierre Moueix began as simply the proprietor of Chateau Fonroque in Saint Emilion but finding no negociant interested in his wine during the depression of the 1930’s, he set up a negociant business. The Moueix family owed, farmed for absentee landlords or had the marketing rights, in part or exclusively, for the majority of the top properties in the area, including: Lafleur-Petrus, Trotanoy, Lagrange and La Grave in Pomerol as well as Magdelaine in Saint Emilion. In addition, Moueix sells a third of Cheval-Blanc, half of Ausone, and has been the sole agent for Petrus since 1947. Moueix brought Lignac’s shares in 1964 and his son Christian is the sole proprietor and responsible for managing the chateau today. The secret of Petrus begins with the soil. The soil here is clay with a curious blue tinge to it. Underneath this clay is an impermeable layer of hard iron soil known as crasse de fer, or machefer. The vineyard is planted almost exclusively to Merlot with about 5% Cabernet Franc, however this is not always used in the grand vin blend, for it is only in exceptional years that the Cabernet Franc gets really ripe. Therefore, Petrus is usually 100% Merlot. The vines are very old, an average of 40-45 years, some as much as 80 if not more. Christian Moueix is a perfectionist and when a single vine gives up it is not immediately replaced. This way he can maintain the venerability of not only individual vines but of sections of this vineyard and can thus tell you as well from which part of Chateau Petrus each vat of new wine comes and almost how old each constituent drop of the final blend is. Perfectionism can often times be confused with eccentricity and Christian has been accused of being both. In years when there has been rain at the time of harvest, he has employed helicopters to generate a downwind to dry out the grapes. In 1992 the ground was lined with plastic sheets so that no moisture should penetrate the earth. All of the grapes that go into Petrus are harvested on the same day; they even go to the extent of waiting until after lunch to begin the picking. By the afternoon the dew has evaporated, and the berries are dry and warm potentially about a half degree of alcohol riper than in the morning.